February 25, 2011 /in Original Posts /by Daryle C. Tibbs Esq. The last thing people want to pay for is attorney fees. We have decided to start this blog to post our thoughts about many things, but mostly we want to inform people about how they can save money when they hire an attorney. Believe it or not, there are many things clients can do to save money when they hire an attorney. Attorneys do not tell clients this because they make our living by selling legal advice and services. Attorneys want to sell their legal services to you and some attorneys will go so far as to sell you things that you do not need. 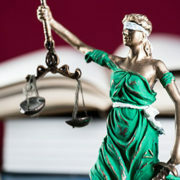 We would like to dedicate this blog to helping you understand a little bit about the law, attorneys, fees, and other law-related topics so that you can save money when you meet with your attorney. We have put together a plethora of resources geared towards this mission, including our facebook page: facebook.com/tibbslawoffice, our instagram page: @tibbsladiesoflaw, and our youtube channels: youtube.com/tibbslawoffice and youtube.com/tibbslawofficekentucky. The resources we are providing here and elsewhere should NOT be construed as legal advice. You should meet with an attorney to talk about your specific situation and hopefully, if you use our tips, it will cost you less when you do!